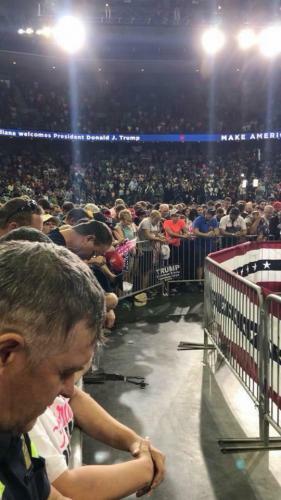 Praying at Trump rally. This is Good and Very Good. Comforts me, but just makes liberals laugh and jeer at us. Just wait! Like they always say, "There are no atheists in a foxhole", there will be no atheists at the world's end. When Christians pray the devil roars - it's painful - his minions laugh and jeer - that's okay. We are on the winning side!